The newspaper article was short, buried at the bottom of an inner page: Man Sought in Child Death was the headline. Ambulance officers were called to attend an infant who was not breathing. They found injuries described as Non Accidental. They detected a feathery heartbeat and commenced resuscitation and brought the baby to hospital. Following further treatment the baby underwent scans of the brain. These demonstrated Injury Incompatible with Life. Police wished to interview a man in connection with the matter. Nearly forty years ago I became intimately familiar with that hospital. At the age of fifteen months our youngest child was treated there for Aplastic Anaemia. I had learned enough of this invariably fatal disease at medical school to dread it. Over three miraculous days and three intense nights nurses and doctors worked on our infant as if she were their own. Three days following her admission our baby was home again, her condition in spontaneous remission. It never recurred. I witnessed at that time what a friend describes as the operation of ‘an edge’. He says a hospital like that is a line where the worst and the best meet and rub up against each other. The worst, he suggests, is the suffering or death or loss of a child; the best is the application of skill and care and discipline in opposing the worst. The line where the best strains against the worst is a hospital like this one. My friend describes this as ‘OUR best’. By extension the loss or suffering of the child is OUR worst. I mean we are all implicated. Another friend is a senior doctor at that same hospital. He is the person with whom the buck stops, it is he who has to confront the adults in whose watch a non-accidental injury has taken place. Too often the x-rays show the many non-accidental fractures that have healed or half-healed or never healed in a baby’s short tenure. He sees the scans that show the brain bruised and bleeding from multiple sites. Calmly, civilly, he must direct questions to the adults. He says, ‘Your baby has been injured in ways that cannot occur by accident. Can you explain the injury to me?’ The adult partnership fissures along one of many fault lines, the truth emerges. And the truth is braided of many rotten strands. The perpetrator – sometimes more than one perpetrator – is almost never the simple monster we like to imagine. The perpetrator too often had himself been monstered – his life fractured, his brain contused by one evil or by another or by many. I read, over the days that followed, a scattering of further details, most of them horrible beyond my imagining. And finally, this: the injuries being incompatible with life, the parent of the child had agreed the doctors should turn off the machines. But before that, she donated the baby’s organs. Injuries incompatible abruptly became compatible with saving half a dozen young lives. I described babies who are killed as OUR babies. 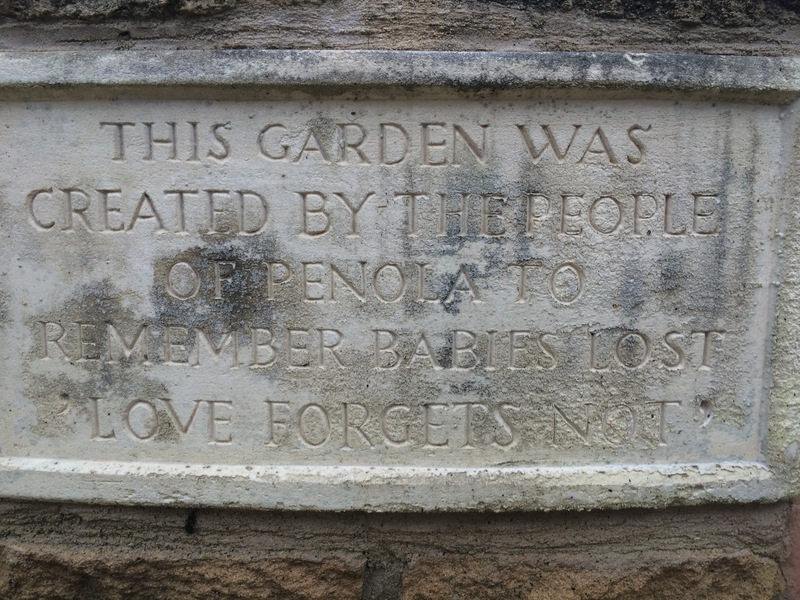 I felt, as I read Helen Garner’s, ‘This House of Grief’ that the three murdered boys were in a real sense Garner’s children, they were mine, they were all our children. And in my moments of google horror I felt the same shock of personal responsibility. 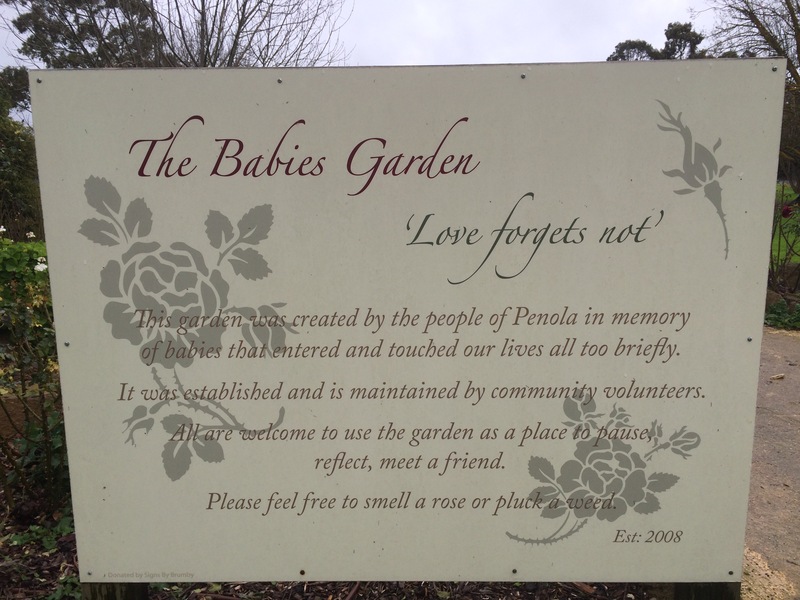 In the small South Australian town of Penola people built and tend a park to remember their babies lost. The enquiry jolts me to consciousness. If he’s asking, what’s your purpose in praying? – it’s a good question. I fancy he’s asking, what are you praying for – in particular? And You give them their bread in good time. I want the child to share my sense of wonder, of providence, however unevenly it might fall. Grandson takes my face in his hands, brings his face close. Closer. His lips touch mine. He holds my face a little longer. What does Saba pray for? He prays because he can, because he needs to. Another kiss and grandson descends. Thank you Saba. 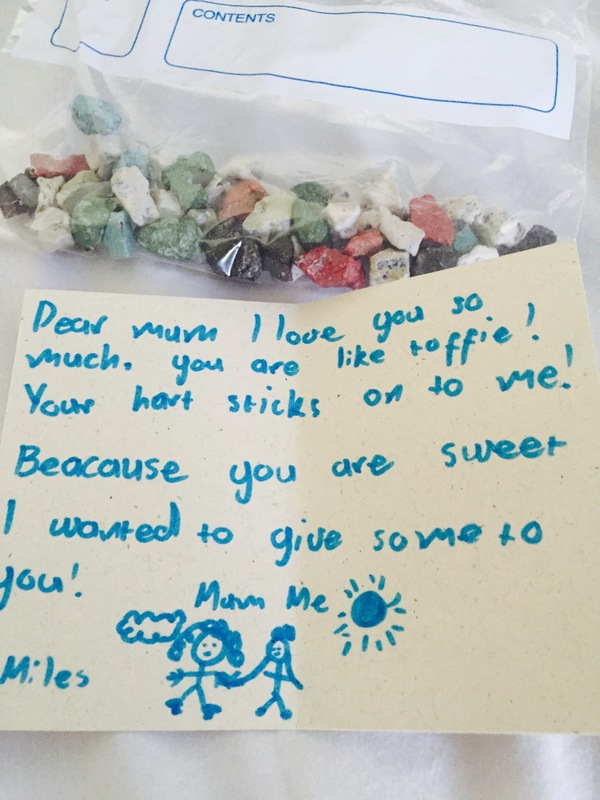 I am left to wonder whether a grandchild might be the answer to the prayer I sent to God’s Ear and never knew it. he read widely, had a quirky sense of humour and was far too bright to be a doctor. In ancient Rome parents would consult the priestess Carmentis shortly after birth to obtain prophecies of the future of their newborn infant. 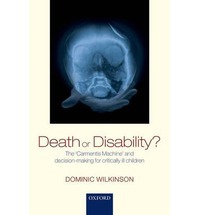 Today, parents and doctors of critically ill children consult a different oracle. Neuroimaging provides a vision of the child’s future, particularly of the nature and severity of any disability. Based on the results of brain scans and other tests doctors and parents face heart-breaking decisions about whether or not to continue intensive treatment or to allow the child to die.